Some 60 million people worldwide need assistance due to havoc wreaked by the El Nino climate phenomenon, but a shortage of funding could threaten the delivery of life-saving aid, the UN warned Tuesday. 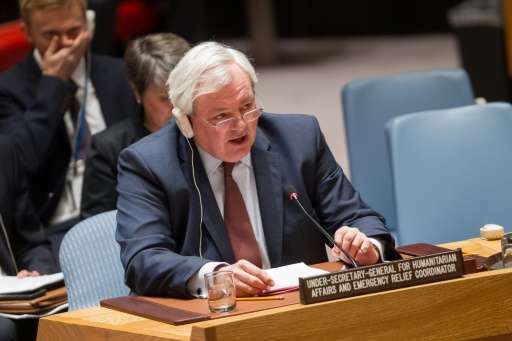 "The numbers are truly alarming," UN humanitarian chief Stephen O'Brien told reporters in Geneva. The El Nino effect, which comes with warming sea surface temperatures in the equatorial Pacific, causes heavy rains in some parts of the world and drought elsewhere. The 2015-2016 El Nino was one of the most powerful on record, and has caused significant damage across 13 countries across Africa, Asia, Central and South America and the Pacific, sending malnutrition levels spiralling and leading to greater spread of diseases. In addition to the some 60 million people directly affected by El Nino, "there will be millions more who are at risk," O'Brien said, following a meeting in Geneva with representatives of affected countries and aid organisations. Floods and failed rains caused by El Nino have sparked a dramatic rise in the number of people going hungry in large parts of Africa, with some 32 million people in the southern part of the continent alone in need of some form of assistance. 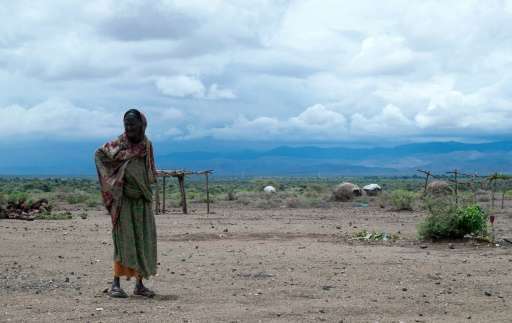 Ethiopia, which is experiencing its worst drought in half a century, is considered "ground zero" in the crisis, with some 10 million people in need of aid, Care International Secretary General Wolfgang Jamann said. But getting aid to all those in need is no easy task. The UN estimates that at least $3.6 billion is required to meet critical needs for food and agricultural support, as well as health and emergency water and sanitation needs linked to El Nino, and O'Brien warned that figure was likely to rise. But even if the needs remain stable, less than half of what is required—only $1.4 billion—has been provided. "So far what has been raised is far short of what we need," he said, cautioning that "lifesaving programmes, including the food pipeline in Ethiopia, are at risk of being cut short." "We have weeks, not months to get this right." Making matters worse, the communities still reeling from the impact of El Nino are likely to get slammed again later this year by a return swing of the pendulum with its opposite number, La Nina. In addition to providing desperately needed aid, the world should now be preparing for La Nina, which is characterised by unusual cool ocean surface temperatures in the central and eastern tropical Pacific, said the UN's Izumi Nakamitsu. "If La Nina happens, the local community level coping mechanism is already quite low, because they have been coping with El Nino impact," she told reporters. "So when that hits, the community will be again devastated, and possibly even much worse," she said.